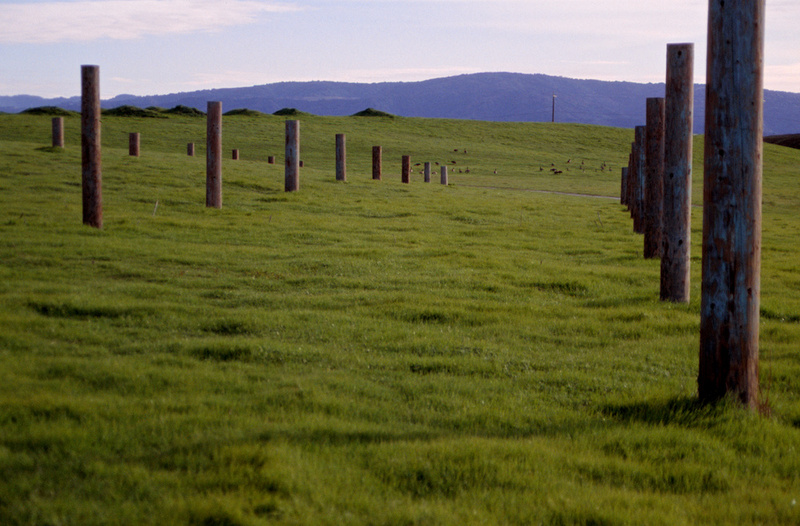 Landscape art in Bixby Park, Palo Alto baylands. Taken with a Pentax ZX-5N (with the kit 28-80mm f3.5 zoom lens) on Ektachrome 400, scanned on a Polaroid SprintScan 35+, with cropping and dust spot cleanup in Photoshop CS4 and white balance, exposure, levels, highlights, and color adjustments in Aperture. Vast open areas are beautiful. I wonder if the top of the poles are leveled?